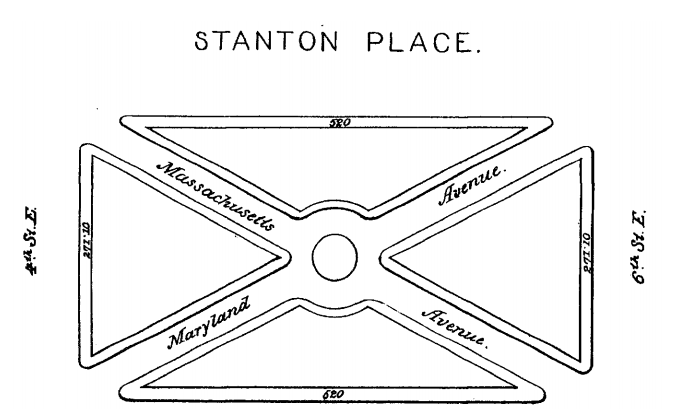 Ever wonder how some of the trickier intersections in the city, a.k.a., traffic circles and parks like Stanton Park, Logan Circle or even Potomac and Pennsylvania Avenues at 14th Street, evolved into their present iterations? Capitol Hill resident, ANC commissioner and history buff Mark Eckenwiler (whom you should also be following on Twitter, especially if you like puns) wrote an excellent article for Greater Greater Washington on the history of DC’s circles and squares. Click here to check it out! Make sure you read all the way to the end, as the part that focuses on what the intersection of Pennsylvania Avenue SE and Potomac Avenue SE brings the history lesson to the present and begs the question of, how much should a neighborhood sacrifice for better car/vehicular maneuverability?